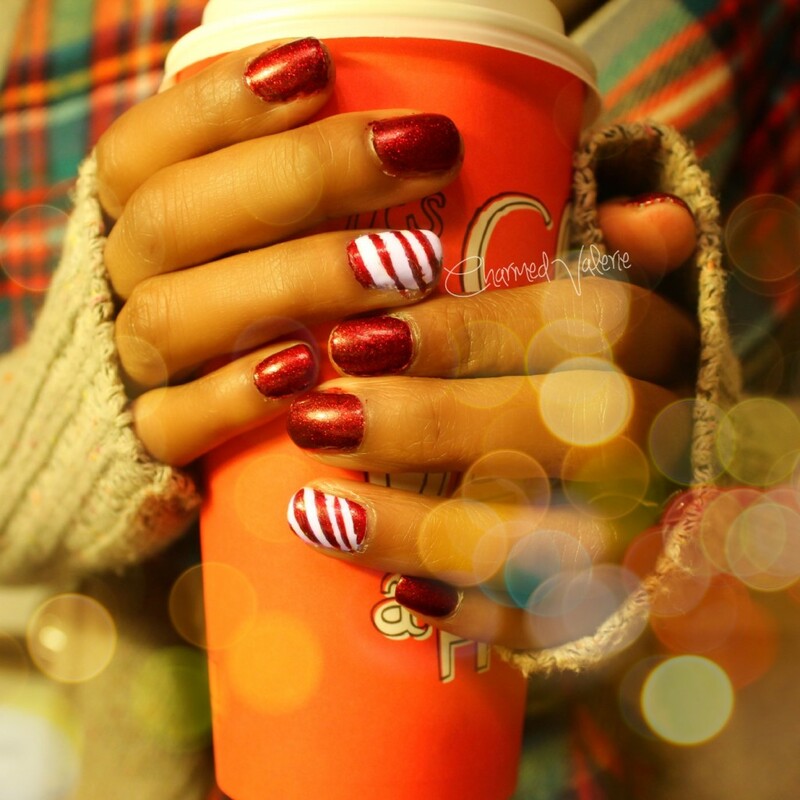 ‘Tis the season for candy cane nails! Here’s a candy cane nail tutorial that is so easy that even I can do it (which is saying A LOT). I used a glittery red polish on most of my nails and only did the candy cane design on my ring fingers because I don’t have that kind of time (plus it’s still not as neat as I’d like if it were on ALL of my nails ifyouknowwhatImean). Finding out that washi tape is perfect for nail striping is life-changing for me because I’ve never successfully done my own nail stripes before. Can’t wait to see what other designs I can come up with now!